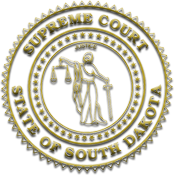 The establishments of drug courts in the State of South Dakota is part of an ongoing effort to combat the rising number of drug related crimes within our communities. Drug courts work by recognizing that unless substance abuse ends, fines and jail time are unlikely to prevent future criminal activity. Traditional methods of dealing with addicts such as strict probation or mandatory imprisonment do not attack the fundamental problem of addiction. The drug court model is founded on the principles of Judicial supervision, chemical dependency and mental health treatment, frequent and random drug testing, behavior modification and intensive supervision, all within the community, as a means to address the needs of the offender whose problems stem from addiction. Years of research and lessons learned in the field has demonstrated the drug court model is the most effective way to decrease drug addiction, which is a long-term solution to decreasing crime. The success of the specialized drug court docket has been transferred to other specialized dockets, including DUI Courts, Veterans Treatment Courts, and Mental Health Courts.